A student has been jailed and four other people handed a range of punishments for a £67,000 phone fraud. The defendants acted as money launderers for a con run by a gang of Somalis who ‘skilfully manipulated’ a Wolverhampton care home owner out of her life savings and destroyed her life, said a judge. The scam caused the victim’s business to fold and left her ‘an emotional wreck’. “If it were not for people like you, serious criminals would find life a lot more difficult,” said Judge Stephen Ward. The victim, Mrs Rishpal Singh, was contacted in June 2017 allegedly by Barclays Bank to say her personal and business accounts had been hacked. She was asked to transfer her £104,000 savings electronically into three ‘secure’ accounts either in cash or by spending on goods. From there, the cash was transferred into bank accounts belonging to the defendants and withdrawn in small amounts . Mrs Singh said she had felt like killing herself when she realised she had been defrauded. In a statement read to the court, she told how she had worked hard, sometimes doing three jobs, to support her family after her husband suffered a brain tumour in 1985 and could no longer work. The con trick had destroyed her health and personality, and her business had collapsed. “I became an emotional wreck and couldn’t continue,” she said. The defendants were charged with acquiring, using or possessing criminal property in varying amounts totalling £67,300. 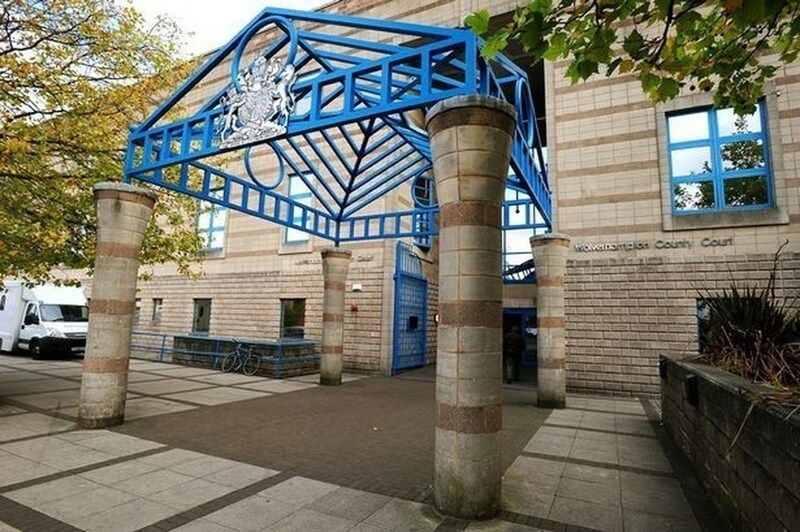 Only one defendant, Mohammed Al-Hassan of Walsall, admitted the offence. Abdirihman Salad, 21, of Yardley Road, Birmingham, considered a more sophisticated criminal than the others, was jailed for 18 months for transferring £10,610 into his own bank account. Hamza Hussain, 18, of Bright Street, Whitmore Reans, Wolverhampton, who laundered the largest amount of £26,100, was handed a 15-month jail term suspended for two years and put under a four-month curfew. Destiny Wright, 19, of New Parks Boulevard, Leicester, involved in laundering £12,000, was given an 18-month community order and a three-month curfew. Vasille-Marian Chirac, 33, of Prebend Street, Leicester, who transferred £2,000 was ordered to do 200 hours unpaid work. Al-Hassan, of Drayton Street, Alumwell, Walsall, who moved £3,100 was given 120 hours unpaid work and an 18-month community order. An international arrest warrant was issued for Eugen-Gabriel Munteanu, 23, of Granville Street, Loughborough, after he failed to turn up at court. Some of the defendants were university students struggling to survive financially, it was said. All had been of previous good character and had made only ‘modest’ sums from the crime, with the lion’s share going to the fraud gang who have never been traced. Judge Ward told them: “None of you is the person who telephoned Rishpal Singh to persuade her through skilful manipulation that they were calling from her bank.